Large updated home in town on over 1 acre of privacy. This home has a fully finished basement that is counted in total sqft with above grade windows on all 4 sides. 1400 sqft on main level and approx 1000 in lower level. 3 bedrooms with 2 full baths on main level. Large spacious kitchen with appliances. Hardwood floors in one bedroom, new carpet throughout the rest. Rear bedroom has private access to deck over looking your large 1 acre yard. Plenty of space to build a barn if wanted. Home is surrounded by mature trees. Between that and the 1 acre lot it seems like you have no neighbors in town. Close to everything. New tear off roof. Freshly painted and ready to move into. The lower level features another living room and two more additional rooms--use as bedrooms, office, etc. 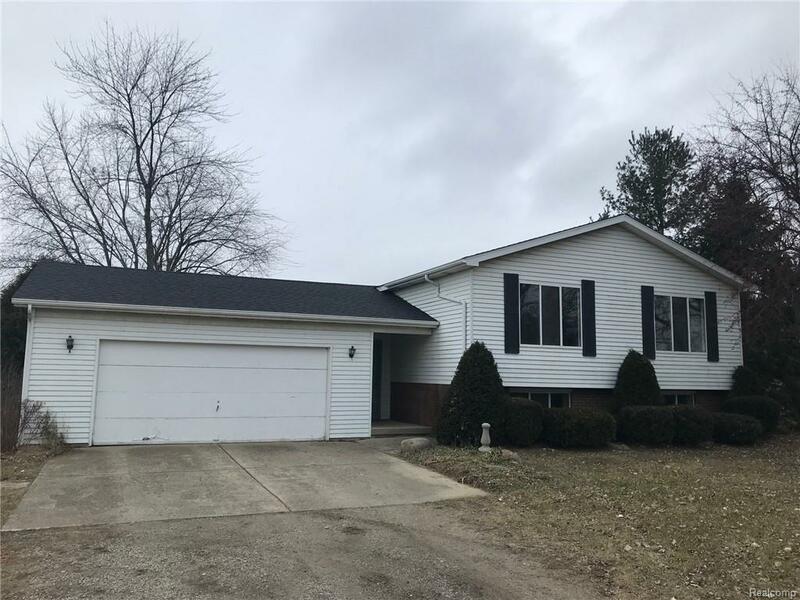 Best value home in Imlay City.Broker/ Agent owned home. All amounts, measurements, and year built are approximate. Buyer to verify all info.